Architecting an enterprise is about making changes to the architecture to address stakeholder concerns and meet evolving requirements. It is therefore important to know the current state and the target state, and to be able to analyse the differences between them. 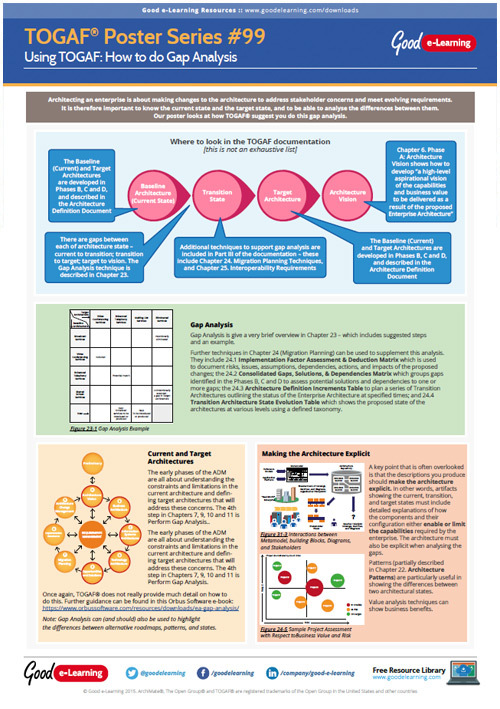 This 'Using TOGAF' poster looks at how TOGAF® suggest you do this gap analysis.